Going on a cruise is an adventure all by itself. But when the boat gets to a destination and you can get out and explore, it’s even better. Under The Sea. 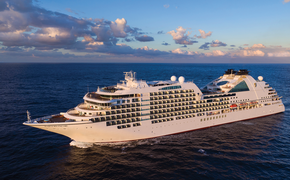 Carnival Cruises has taken you on a ride above the ocean floor, with so many things to experience, but now it’s time to get off the boat and explore what is underneath it. If you do not mind closed spaces, sign up for an undersea excursion of Catalina Island where you will discover some of the sea’s most beautiful creatures like sea kelp, Garibaldi, Opal Eye, sea lions and seals. 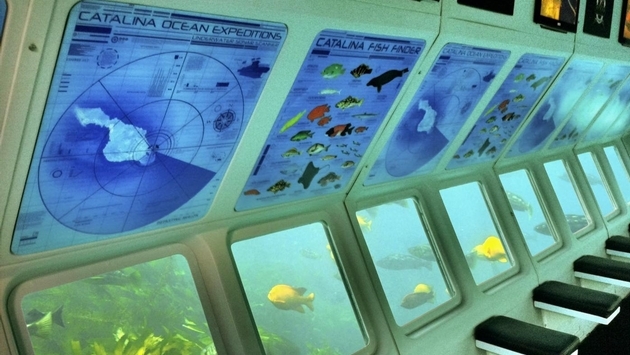 On Santa Catalina Island, you can embark on yet another boat, but this one has a glass bottom – which gives you a perfect view of the colorful fish and marine plants below your feet. Soar! If adventure is your middle name and you love anything that pumps up your adrenaline, then the Catalina Zipline Adventure is perfect for you. You will fly high on a zip line that is a whopping 3,700 feet long and 600 feet above sea level. The journey reaches up to 45 mph as you whiz across Descanso Canyon while the ocean sits under your feet. Don’t forget to look down. What a view! Culture Center. Hawaii is known for its lush landscapes, beautiful waters and, of course, its culture. If you’re docking in Oahu, home to the capital of Honolulu, you’ll want to experience the cultural excursions where you can sample some of the most delicious Hawaiian foods, especially its pineapple. The excursion includes a brief stop at the Dole Plantation and learning about the people of Samoa, Hawaii, Marquesas, Tonga, New Zealand, Tahiti and Fiji. People. Speaking of people, the Carnival Cruise line’s Colonial Villages of Sierra Madre excursion takes you up-close and personal to three traditional villages in Sierra Madre. Here you will dock for a six-hour tour of Mazatlan, Mexico. You’ll walk through the streets of the old-fashioned towns of Malpica and Concordia, the homes of artisans who handmade and paint ceramic tiles, bread and pottery. Don’t worry you’ll be able to shop and bring home some souvenirs after you enjoy an authentic Mexican lunch. Ruins. Now you have a chance to discover just how magical something that is ruined can really be on the Xunantunich Mayan Ruins Excursions. A cruise to Belize provides the opportunity to discover this Mayan archeological site and the Mopan River, where you’ll take a trip down the Mopan River before visiting the site, which served as a major ceremonial center and the El Castillo temple. Dine on a Belize meal before heading back to your Carnival ship. So many choices, so little time. Make the most of your next trip by trying at least one.